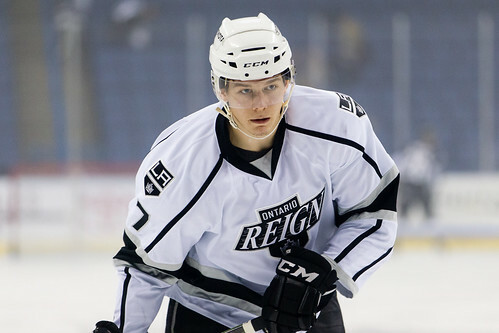 Despite dominating the shot count, time of possession and pace of the game, for the second night in a row the Ontario Reign could not secure a win. It was deja vu in overtime, as San Antonio captain Ben Street netted the game winning goal, just as he had done on Friday. 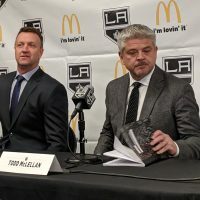 Even so, Ontario remains undefeated in regulation, while Head Coach Mike Stothers chooses to view the back-to-back missed opportunities with a glass half-full mentality. 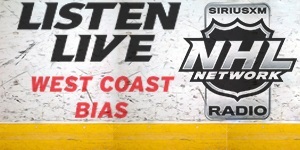 Stothers pulled goaltender Ray Emery, who was making his season debut, with nearly two minutes left in the game. After a couple of setups in San Antonio territory, Michael Mersch forced the puck on net. 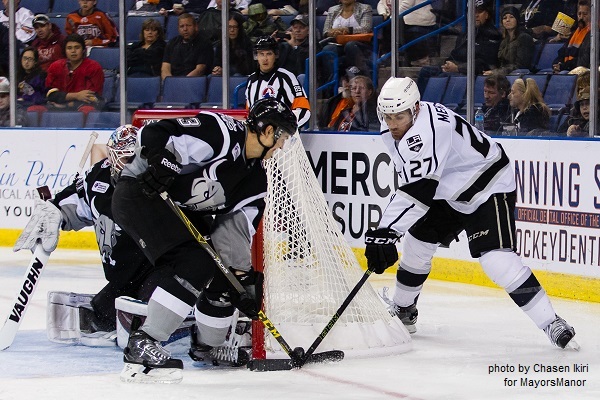 The rebound came to Sean Backman, who quickly moved behind the net and then moved the puck to Adrian Kempe. 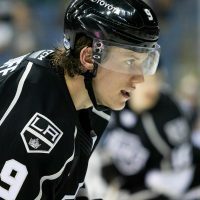 The LA Kings prospect made a nifty behind the back pass to underrated defenseman Kevin Gravel, who blasted a puck that tied the game at 1 with just 44 seconds remaining in regulation. The best forward line for Ontario was the Mersch-Dowd-Zykov line. While they were not the only line that created offensive chances and possessed the puck, they did it with a certain dominance that seemed to set the tone for the rest of the lineup. They have been leading in the scoring department as well, combining for 13 points in the 6 games coming into Saturday. 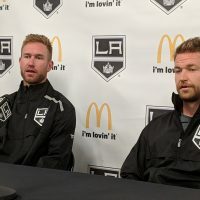 Center Nic Dowd has picked up a much larger role than he had on the Calder Cup winning Manchester Monarchs team last season, an opportunity he is glad to have. 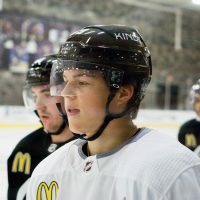 “I’ve been fortunate enough where I’m getting to play a lot of minutes and the power play and i think that’s going to help,” said the former college hockey standout. He also spoke about figuring out how to create some cohesion between him and his linemates. Ontario’s record moves to 5-0-2 after the overtime loss. Players are hopping on the bus to San Jose where the Reign will face a team that hasn’t played a game since they lost to Ontario 3-0 on October 24. For an extended collection of pics taken during the game by MayorsManor photographer Chasen Ikiri, check out the collection below.